Jose Mourinho has identified Borussia Dortmund midfielder Axel Witsel as a potential transfer target. The Manchester United boss recently traveled to Brussels to watch the Belgian national team play against Iceland. While Jose later explained that the reason behind his visit was to have a conversation with Roberto Martinez regarding Romelu Lukaku, new information has now come to light. According to ESPN, the Portuguese tactician stayed back at the game despite Lukaku being ruled out for the fixture, in order to scout a transfer target: Belgian midfielder Axel Witsel. Mourinho has been a long-term admirer of the former Benfica and Zenit St Petersburg superstar, having also targeted the player during the 2018 summer transfer window. However, the Red Devils instead opted to sign 25-year-old Brazilian midfielder Fred due to his age and potential, whereas Witsel parted ways with Chinese Super League outfit Tianjin Quanjian to seal his £18m switch to Borussia Dortmund. 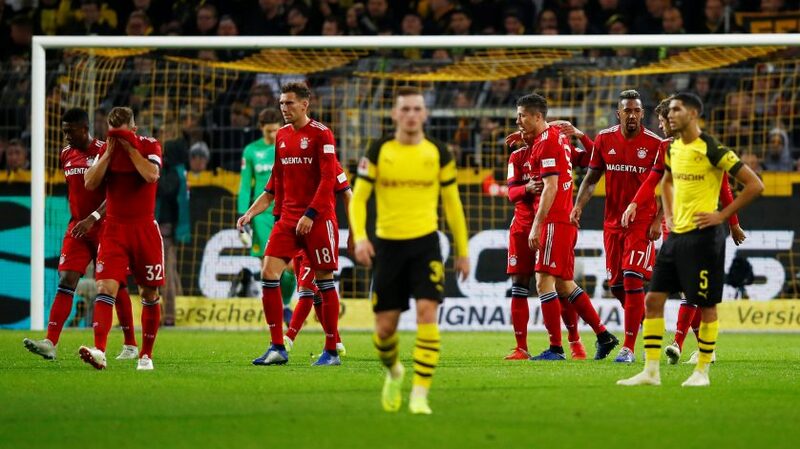 The 29-year-old has since impressed heavily in Germany, having played a huge part in helping Dortmund to the top of the Bundesliga table – 9 points ahead of reigning champions Bayern Munich, who sit in the 5th spot. But the report adds that Mourinho continues to monitor the 2018 World Cup semi-finalist, and is eager to make a move for his services next summer, if not come January. With Paul Pogba’s future uncertain and Nemanja Matic’s form having dropped severely, Manchester United need midfield reinforcements, and Jose believes Witsel could be the apt addition to his side’s midfield department. However, Dortmund shall undoubtedly demand a huge fee for the summer signing they only recently brought in, and convincing the Mancunian hierarchy to shell out big bucks for a player who is set to turn 30 in January could prove to be a humongous task for the Special One. How will this transfer saga unfold?